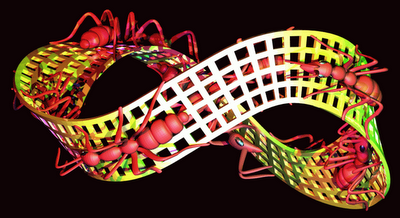 Here’s pretty smart variation of MC Escher’s Moebius Ring coverd with ants. This Moebius Ring is formed out of ants walking forever and covering both sides of the ring. Click on the movie link in the comments section to see the whole video clip! First time I saw this I thought it was impossible, and searched for an answer. Then I realized that any ring you take can be cut, and connected, after you rotated one end of it for 180 degrees. Result will be Moebius Ring that you can follow with your finger, starting on one side, passing other side as you go on, returning you to the starting point – and so on infinately! Hope you understood what I ment ;) Jump inside this article for more pictures! Also be sure to check more Escher Inspired Optical Illusions. yo i love moebius rings i think they’re soo cool……and i love the mathematics behind them too! gosh i love this site…kinda pathetic how im usually the first one to post though……i have no life…..
Now if you get really bored… Make a mobius strip… draw a line along the strip (the path that the ants travel) and then cut along that line… Then do it again for the skinnier strip. Cool, no? Just wanted to say that the Moebius Ring only has ONE side. we did this in my science class one time in sixth grade. it was pretty cool. i didnt get it at the time though. This looks (exactly) like the screensaver in Gnome, a desktop manager in Linux, in fact this is the exact screensaver I use besides Galaxy. 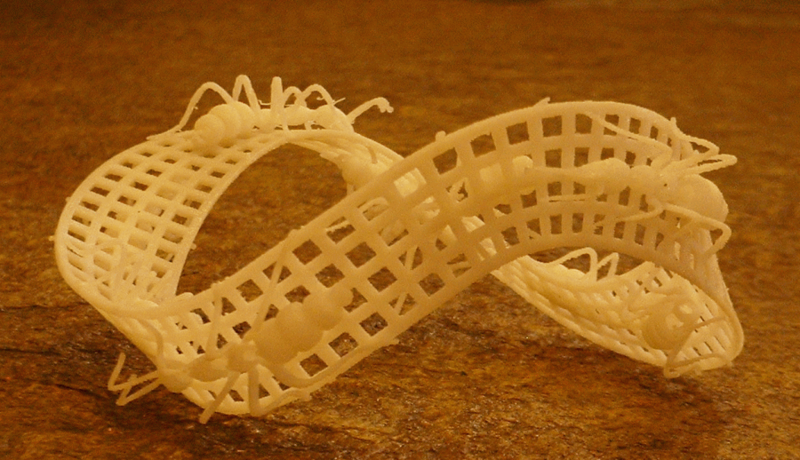 this mobius ring is infact-impossible.Ive tested this out,the ring has 2 bends.A mobius ring with 2 bends cant travle around both sides,only with one.I love this site,btw.My favorites are impossible objects and escher style. there are actualy three types of mobius rings. i love how all you guys know about these things but yet still don’t know how to spell.. I have an equal screensaver to that of the ants. Was the Vurdlak actually Vurdlak? Duh if you didn’t believe in Infiniti then your brain is retarded, and you would have never understood time, which I believe describes life, or is the inevibility of life. Is that life never ends, without human beings or not, there is always life and always a purpose, and with purpose there is life. I never fail to be fascinated by the works of M C Escher….genius!